“This is a very dangerous exercise and we are not satisfied that Water and Sewerage has done a proper awareness campaign for what they are going to be doing tomorrow (today),” said Marlon Jacobs, a resident of Virgin Gorda. 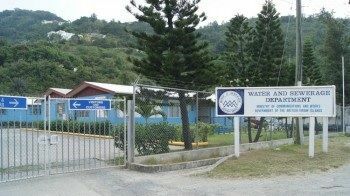 Several residents of Virgin Gorda late yesterday contacted this news site seeking to have the information on the Water and Sewerage Department‘s flushing exercise publicised as much as possible. “This should have been a paid ad on all the news sites by government. They need to declare school closed for today and persons with children should be granted the day off to supervise their children at home because of this exercise. It is very serious and teachers may not be able to fully keep an eye on every child,” said one Ms Vanterpool who also said the same should be done for persons in Sea Cows Bay. In a release posted on the Water and Sewerage Department's Facebook page, residents of Virgin Gorda and Sea Cows Bay were notified that today Monday October 5, 2015 the department would be engaged in a flushing of the water distribution system from 5:00AM. “During this exercise customers are advised not to utilise the water which would be highly concentrated with chlorine. This high concentration of chlorine could have side effects in humans, similar to those that would be experienced with using too much Clorox." W&SD further went on to advise that that the water should not be used to bathe, clean dishes, wash cars, wash clothes or water plants. “This exercise is being carried out to disinfect the network, and eliminate any bacteria that may be in the pipework, in preparation for a new batch of safe potable water to be introduced into the system,” stated the release. It also said that the flushing exercise will continue in other areas throughout the month of October on Jost Van Dyke, Anegada, Tortola and Virgin Gorda and that a schedule will be published. 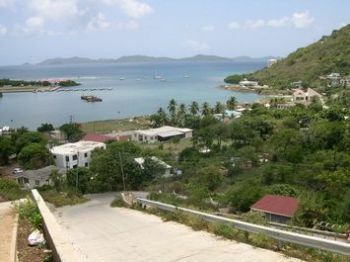 Residents of Virgin Gorda had recently complained that their tap water seemed to be contaminated with the colour and stench of sargassum seaweed. That's not going to cure the problem. That's going to make matter worse. Remember. You heard it here first. Since you asked. This doesn't address some of the other issues regarding that procedure. If I where everyone on the infected areas, I would using bottled water for all consumption, boiling water will not even help in this instance see below. Flushing water systems with chlorine cannot reach bacteria entrapped within mud, rust or other solids. Therefore, all components of the system including the source, tanks and distribution piping should be flushed to a clean condition prior to disinfection with chlorine. That means everyone’s pipes in every home and water distribution center should be pumped to waste water until water is clear. Flush through blow-offs and every dispersion area needs to be open and blow through. This pertains mostly to copper pipes not the PVC and Alloy material used mostly here. It’s a dangerous situation being made more dangerous by the people at WS & D. Now after all that, water samples at the furthest point from source should be tested for harmful, PCB’s, toxins and excessive residual chlorine deposits. hey lol even the bottled water you buy contains lethal ingredients such as fluoride which aint meant for human consumption but as long as your buying local bottled water your ok.
even though I am adamantly against fluoride in the public water (individuals can get it themselves if they want it, without mass medication), it is not lethal in these concentrations. It does accumulate in the body over time and causes havoc to organs. what is troubling about this "exercise" (a casual term), people were not given proper lead time, the concentration has not been made public, and any consumption by people with diabetes, gastrointestinal and other maladies have a higher percentage of a reaction. This is highly irresponsible. Chlorine is not "harmless". The utter failure to warn EVERYONE affected by this well in advance is criminal negligence. Those responsible should lose their jobs and be replaced by competent people. Unbelievable. So how long can you not wash dishes, bathe, wash care, clothes, water plants after this process flushing? The duration is not stated. Did not know this wondered why I was smelling such a scent during my bath and something told me get water from another source to feed the pets. To late for the plants now I will see what happens. What engineer is recommending this practice? What qualifications does he or she have? Which handbook of public sanitation recommends a system wide chlorine shock? Can we see the reference please? This type of approach is sometimes used on single systems where coliform counts are elevated. Was that the case with the water supply on VG (i.e. elevated cloakrooms-it should not be since we do not obtain our water from wells or subsurface aquifers. And if it is, it says something about where the water is drawn for the desal plant). Chlorination will not eliminate the sulfur compounds unless it is applied in high doses. On the other hand, charcoal filters will do much to improve filter and taste at much lower risk. I swear some of yall will blame Water & Sewerage Department and BVI Electricity if God comes for his world and yall get left behind. It is a known fact that WSD does NOT produce water, they distribute. So If the plants having problems with production and the water smells and taste like sea weed like yall still want them to send it to yall and then yall will be blaming government AGAIN for the skin infection and other outbreaks that may occur and for selling yall stinking water too. We all saw the sea weed. we all knew or assumed the issues it would bring but instead of preparing yall selves for the worst yall here blaming the government. Additionally; every minute somebody posting pics of the dying marine animals. I have not see any pics of the person stating that they took them out of the water or the sea weed and dispose of them. They are left right there for "the government" to address. Boy we can complain sah. Sorry but you are an @$$. Who the hell else you gonna hold accountable for basic infrastructure if not the government? You act like the water and the roads and everything else is some kind of charity, like we didn't pay for these things with our tax dollars. Do me and the rest of the BVI a favour, go buy yourself a clue, rob one if necessary, but stop coming on here posting crap to hurt up our heads. it was my photos most news site used. I picked up th first 20 or so and threw them back in the sea. When I saw thousands more along hundreds of yards of coastline, it became apparent there wasn't enough time for me to do that in my 30 minute dog walk before work. There are still thousands of dead rotting fish along hadsome bay a week later - if we go to work in the mornign and get home in the dark how are residents meant to clean this up? Hey while on this topic. Can Water & Sewage please set up an online payment like Electricity Cooperation has to pay bills? Quite Frankly going to Baughers Bay is quiet a hassle since I live at west end and have to work at the airport for 6 in the morning. Can someone help or guide me as to how to get some action done or even get Mrs Perline Scatliffe Leonard address so I can email. All ayo was saying give local companies chance...See all the local plants giving brackish bacteria filled water. went to the Vanterpool Building on VG today went to use the bathroom it's locked . No water . No cisterns . What a darn shame. Man this need to hurry get fixed got us living like animals now. What are we to do shower in our own sh*t and pi$$???? An "after-the-fact" press release is no help in this situation. 4:00 p.m. has passed and we still don't have water. What do they expect us to do? The handling of this matter is just pathetic.